In CAPTAIN FANTASTIC, Ben Cash (Viggo Mortensen) is raising his six children in the wilds of the Pacific Northwest, putting them through both vigorous physical and intellectual exercises in the mountains’ fresh air. Far away from Snapchat and Snapple, the kids develop a unique sense of themselves and their family identity. But Cash’s tough homeschooling challenges conventional ideas about family and childhood. “I’m fascinated by all the issues that revolve around parenting,” Ross explains. “Ben has given up the outside world and whatever personal ambitions it held for him to devote his life to being the best father he thinks he can be. The question becomes: is he the best father in the world or the worst? Is what he’s doing insane or insanely great?” The Associated Press’ Jake Coyle, who compares their clan to a “modern-day Swiss Family Robinson,” writes that “Viggo Mortensen plays one of the all-time great movie dads.” While for others Cash’s extreme wilderness training might raise a few eyebrows, the film intentionally brings up some hard and very contemporary questions about families. As Mortensen told the Associated Press, "It feels like one of those movies that has connected with something related to U.S. society right now." 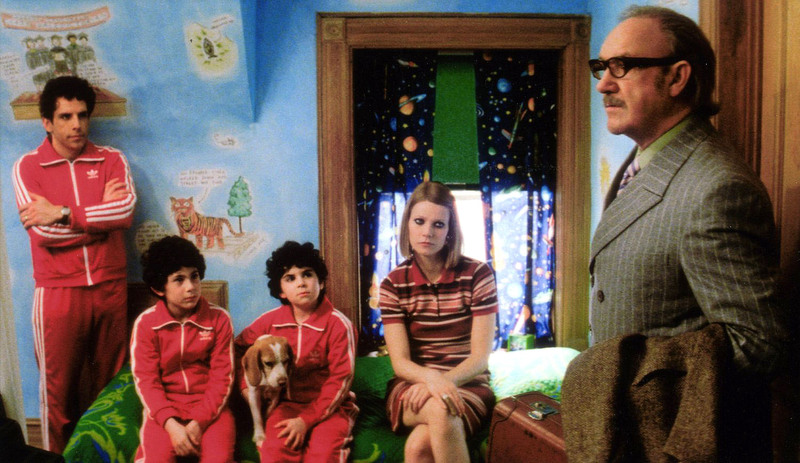 In support of indie families everywhere, we remember five other films which refigure our most basic social unit in ways that reflect the world we live in now. Jonathan Dayton and Valerie Faris’ runaway comedy Little Miss Sunshine lovingly reimagines the modern family by finding humorous cracks in the traditional American dream. When seven-year-old Olive Hoover (Abigail Breslin) discovers that she has been accepted in the Little Miss Sunshine beauty pageant in Redondo Beach, CA, a series of unexpected events conspire to make it necessary for her entire family to climb aboard their broken-down VW bus to drive her there from Albuquerque. If super-excited, slightly pudgy Olive hardly fits the perfectly coifed, brightly smiling model of child pageants, no one in her family comes close to normal. Her mom, Sheryl (Toni Collette), is frantic trying to keep her crazy family together. Her dad, Richard (Greg Kinnear), is a motivational speaker whose own career is anything but positive. Her uncle Frank (Steve Carrell) is a gay, Proust scholar who recently attempted suicide. Her step-brother Dwayne (Paul Dano) is a Nietzsche-loving teen who has taken a vow of silence. And her grandfather, Edwin (Alan Arkin), is a foul-mouthed crank recently evicted from his retirement home for snorting heroin. When husband and wife team Jonathan Dayton and Valerie Faris were originally approached about the project, they weren’t that interested in helming a comedy about a troupe of kooky eccentrics. But after reading Michael Arndt’s screenplay, they realized the story, like the family it portrays, is much more than the sum of its parts. “You start off with all these people living their separate lives and the climax of the movie is them all jumping up on stage together,” explains Arndt to SF 360. During the production, the filmmakers took to heart this family theme. When financiers pushed to refocus the film’s narrative on the dad, the directors stuck with their screenwriter’s original vision that “the protagonist of this movie is the whole family.” Even rehearsals emphasized this idea. 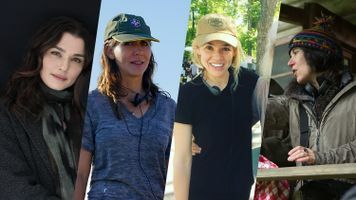 “We spent time before we started shooting to develop the relationships between the characters and try and create a sense of family,” Valerie Faris tells MovieFreak. While each family member was odd in his own way, the whole family itself was both familiar and contemporary. For critics, the film’s unflinching portrayal of modern family dynamics made it a hit. 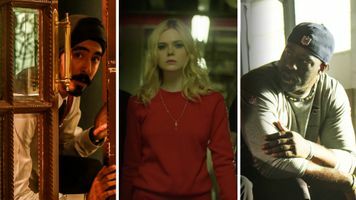 “As eccentric as everyone is, you'll be able to recognize something of yourself or your kin in them, and it's this connection that provides the movie's power,” writes Ruthe Stein for the San Francisco Chronicle. And it proved a runaway box-office hit, earning over $100 million and winning two Academy Awards (Best Original Screenplay and Supporting Actor for Alan Arkin), after getting four Oscar nods. Nat Faxon and Jim Rash’s coming-of-age drama The Way, Way Back turns the teen summer movie into a tough-hearted look at modern parents. 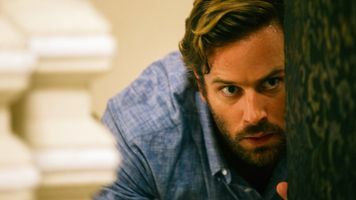 When Duncan (Liam Jones) joins his mother (Toni Collette) and her new boyfriend, Trent Ramsey (Steve Carrell), on a summer vacation to a beach town resort in Cape Cod, he is forced to rethink what he needs from his family. Running away from his chaotic beach house, Trent finds a way out by working at a local amusement park, the Water Wizz. There he finds an unexpected father figure in the manager, Owen (Sam Rockwell). While The Way, Way Back is set in the present, its ‘80s references, from cars and retro fashions to metal bands and dilapidated amusement parks, makes the story feel strangely awash in time, as if this teen’s tale was really about the adults’ stunted adolescence. In her review for NPR, Ella Taylor notes, “here's the latest cinematic scoop on the New American Family: The kids are all right—or would be if the grownups stopped acting like stoked toddlers and got with the program.” While the film focuses on Duncan learning how to become a man, the talented ensemble cast provides more than a few bad lessons in adults acting like kids. Allison Janney, the alcoholic next door neighbor who ridicules her own son, unpacks for HitFix the characters’ various inept parenting styles: “she doesn't think she's being mean to him, she thinks she's giving him the best advice, being the best mom ever. Just like [Trent] thinks he's being a great new role model for young Liam.” Some of this bad parenting comes from personal experience. Rash lifted almost word-for-word the humiliating beginning scene in which Duncan is asked to rate himself from one to ten. After he gives a six, his mom’s boyfriend deflates his grade to a three. Despite a few digs at adults, the film’s coming-of-age tale is primarily a coming to acceptance lesson. “It's smart, funny and moving about human weakness. And it doesn't divide the world into good and bad adults,” notes NPR’s Ella Taylor. 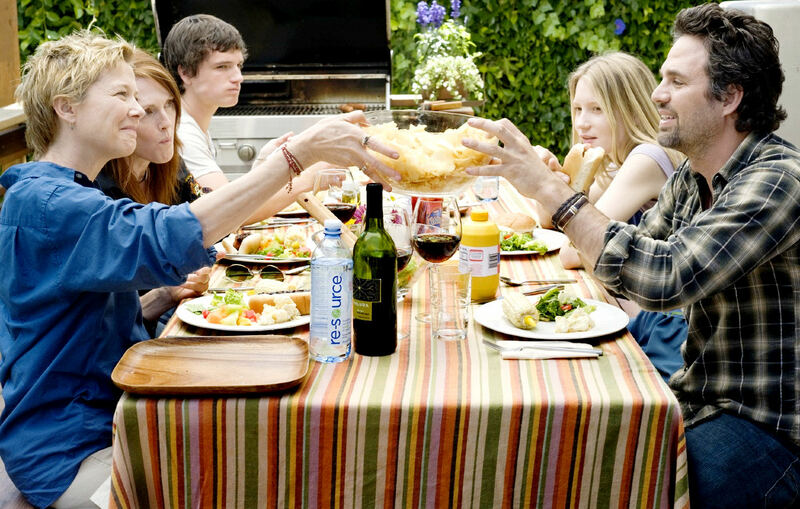 In making the 2010 The Kids Are All Right, director and co-writer Lisa Cholodenko updated the family comedy to fit the reality of contemporary identity. 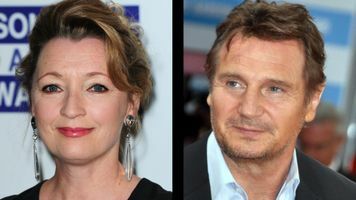 Here the kids––Laser (Josh Hutcherson) and Joni (Mia Wasikowska)––have two moms: Jules and Dr. Nicole Allgood (Julianne Moore and Annette Bening, respectively). And all is good with the Allgoods until Joni reaches out to her sperm donor dad, Paul Hatfield (Mark Ruffalo), to learn more about her ancestry. Comedy ensues, but so do real conflicts and emotions. For The New York Times’ A. O. Scott, “families like this are hardly uncommon in the real world, but Ms. Cholodenko… and Mr. [Stuart] Blumberg have discovered in this very modern arrangement a way of refreshing the ancient and durable wellsprings of comedy.” The story’s poignant sense of reality emerges from that fact that Cholodenko experienced part of the story firsthand. In 2006, she took off time from filmmaking to have a child with her partner Wendy Melvoin with the help of a sperm donor. “I became very absorbed in these meditations on… what's the life of this child that I hopefully will have,” Cholodenko tells Fresh Air’s Terry Gross. “What's it going to be? And when I sat down to write an original script, I was sort of consumed with this idea.” In exploring her characters, questions about the parents’ gender or sexuality became less interesting than the generosity of the family members themselves.For Slate’s Dana Stevens, “What Cholodenko has aimed for, and achieved, is something bigger: a serious and funny film about the simple yet incomprehensibly fraught act of moving through time with the person you love.” The powerful story went on to receive four Academy Award nominations, as well as a Golden Globe win for Annette Bening. Thomas Wolfe, the author of You Can't Go Home Again, a novel whose title has become a popular warning for people who’ve fled small towns, came from North Carolina before moving to New York City. Phil Morrison’s 2005 home-spun drama Junebug re-interrogates the claim made by Wolfe’s title. When Chicago art dealer Madeleine (Embeth Davidtz) needs to travel to North Carolina to meet a new outside artist, she takes the opportunity to finally meet her husband’s small town family: the all-seeing matriarch Peg (Celia Weston), the taciturn dad (Scott Wilson), the churlish brother (Benjamin McKenzie), and his sparkling, pregnant wife Ashley (Amy Adams). While the film is situated in the new American South, Morrison intentionally steered it away from the South of the popular imagination. He tells The Boston Phoenix that "A lot of films I've seen from Iran or from Ozu [in Japan] reminded me more of where I grew up than the films of the South.” Working with a screenplay from friend and local playwright Angus MacLachlan, Morrison explores the complex misconceptions people make about each other––be they generational, cultural, or familial. The film, as Morrison told The New York Times, captures how “the preconceptions we bring are designed to make ourselves feel better about ourselves, and that they are inevitably wrong." The urban Madeleine arrives expecting the stereotypical South of TV and film, while Peg is quick to dismiss this Yankee woman’s city ways. George’s brother, still smarting from being abandoned, looks with distrust at the return of the favorite son. Only Amy Adam’s character embraces everyone with open arms. For many, this studied look at the hard truths about families and relationship made Junebug both a refreshing new look at families and the South. "Junebug is a great film because it is a true film,” exclaims Roger Ebert. “It humbles other films that claim to be about family secrets and eccentricities. It understands that families are complicated and their problems are not solved during a short visit, just in time for the film to end. Families and their problems go on and on, and they aren't solved, they're dealt with.” In addition to critical acclaim, Amy Adams was nominated for an Academy Award for Best Supporting Actress for her effervescent Ashley.